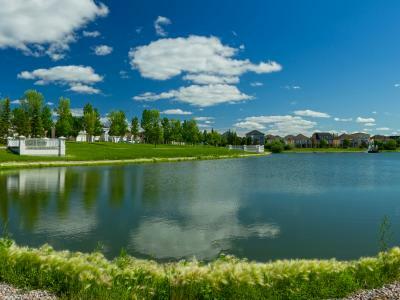 You could spend a lifetime fishing in Canada, and you still wouldn’t experience even a fraction of what this land has to offer. 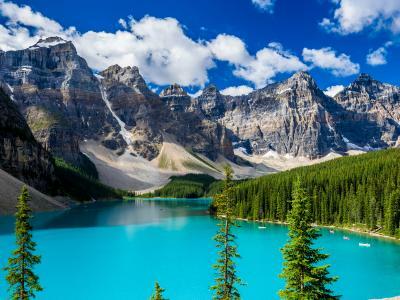 From remote mountain streams and rolling ocean waves to urban lakes surrounded by skyscrapers, this country has it all. 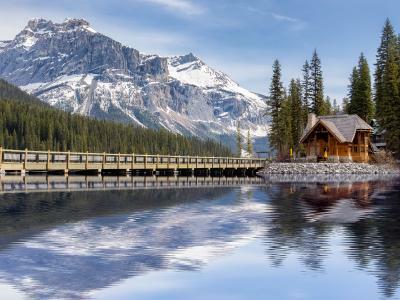 For many anglers, the cherry on top is the vast wilderness here—the perfect place for secluded fishing and a weekend at a mountain lodge. 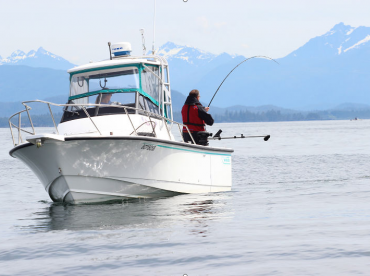 You’ll find Canada fishing charters and guided trips everywhere you turn, along with a list of iconic gamefish to catch. For many visitors, the hardest part is deciding where to head first. Well, we’ve got you covered. Pick your dream catch and let us point you in the right direction! There’s nothing quite like the Salmon fishing Canada is known for. 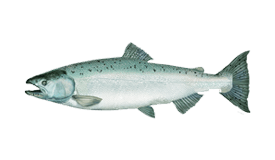 Home to Atlantic Salmon and five species of Pacific Salmon, you’ll find these fish from coast to coast. It’s common to fly fish for Atlantic Salmon in the waters of Quebec, Newfoundland, New Brunswick, and Nova Scotia. 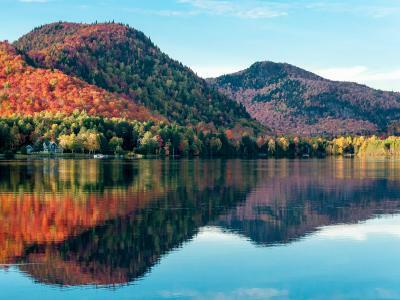 The Gaspe Peninsula in Quebec boasts lots of opportunity, and is easily accessible. 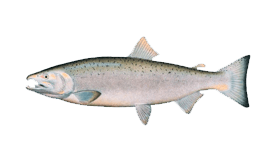 However, like many locations on this side of the country, Salmon fishing is highly dependent on seasonal events and ocean conditions. 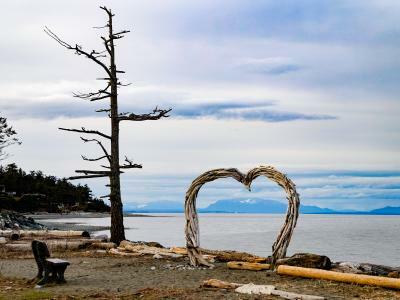 On the opposite end of the spectrum you have British Columbia, whose thousands of streams and over 16,000 miles of coastline are swarming with Salmon. Chinook reign supreme in these waters, including year-round feeder populations and massive Tyees (30+ pounders) in summer. 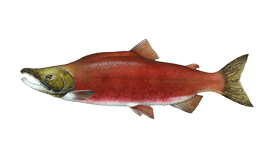 Every year, they’re joined by millions of Coho (Silver), Sockeye (Red), Chum, and Pink (Humpback) Salmon on their way to the spawning grounds. 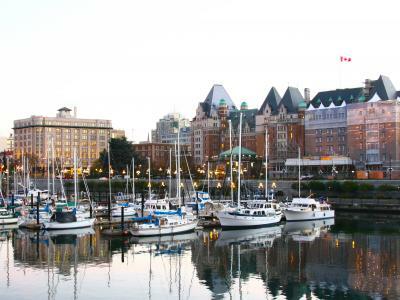 Vancouver Island and Haida Gwaii are premier destinations for Salmon fishing vacations in Canada. 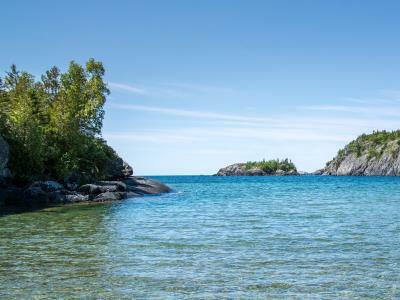 If the far reaches of Canada’s coasts are a bit beyond your time and budget, stop by the Great Lakes instead. 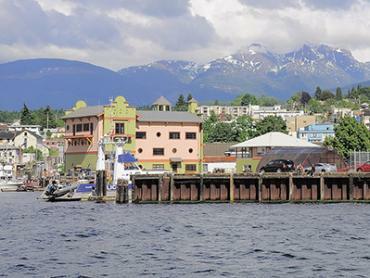 Chinook and Coho are not native to these landlocked waters, but they thrive here. Peak season in the lakes runs from May through September. For some anglers, there’s nothing more alluring than the Pike fishing Canada has in store. 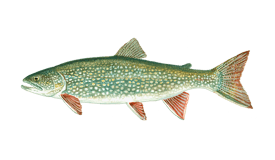 You’ll find large Pike in the big river systems, but the biggest of these bad boys swim in the remote northern lakes of provinces like Manitoba, Saskatchewan, Ontario, and northern Quebec. One of the best times to fish for Pike is during ice-off, when they congregate in the shallow waters of bays and backwaters. It’s easy to sight fish for them here, and you can expect lots of action. Even after all the ice thaws, you’ll be hard pressed to pick a bad time for Pike fishing. 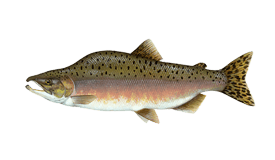 Canada boasts a variety of Trout, from her many lakes to countless rivers and streams. 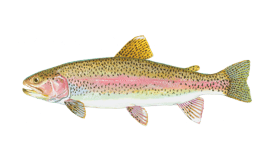 In British Columbia, Rainbow, Cutthroat, and Steelhead Trout are practically synonymous with fly fishing. These species have multiple runs throughout the year, but fall tends to be one of the best times for non-stop action. 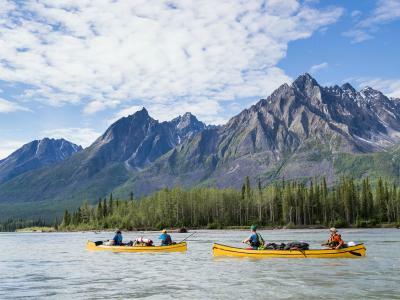 Some of the most renowned Steelhead rivers in BC include the Fraser, Columbia, and Skeena Rivers. On the opposite coast, anglers catch large Brook Trout in Labrador and northern waters in Quebec. Lake Trout are also prevalent on this side of the country. Some of the best fishing for Lake Trout is available in the upper portions of southern provinces, as well as Nunavut and the Northwest Territories. For the biggest Lakers, cast your line somewhere in Northern Manitoba or Saskatchewan. Then again, eastern and central tundra waters can be just as promising. Canada has big Walleye and lots of them. You’ll find these fish swimming in lakes and rivers of any size. Quebec, Ontario, Manitoba, and Saskatchewan are top locations for this species, but there’s no need to seek out the most remote locations. 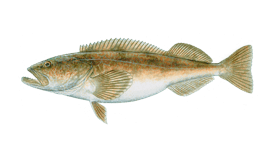 The biggest Walleye (8-10 lbs) are found in the Lake of Woods, Rainy Lake, Detroit River, Lake Erie, St. Lawrence River, and the Bay of Quinte on Lake Ontario. If you’re in the market for one of Canada’s famous Walleye fishing trips, be sure to check out these places. Charr is said to be the most exotic game fish in Canada. You won’t typically encounter one of these unless you’re on a fly-in fishing trip in the northernmost reaches of the east coast. 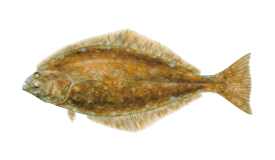 This fish is mostly available for a brief time in midsummer, with the biggest of them swimming in rivers flowing through Nunavut, Hudson Bay, and the Atlantic. Tree River in Nunavut is a premier Charr fishing destination. A handful of other trophies stand out from the crowd, even if they draw a little less attention. 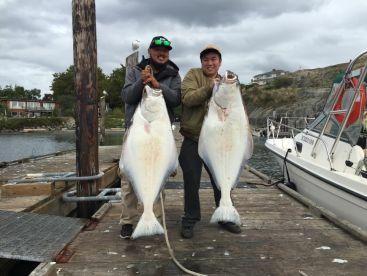 Each year, anglers flock to the western shore of Vancouver Island and Haida Gwaii for a chance to land massive “barn door” Halibut. Sturgeon fishing in Fraser River is also a major attraction in British Columbia. Many compare the fighting power of this ancient fish to that of a Marlin or a Tarpon. Continuing east, you’ll find Largemouth and Smallmouth Bass in many waters throughout the country. Smallmouth are especially abundant in Nova Scotia, New Brunswick, and the southern portions of Ontario and Quebec. These last two provinces also boast Muskellunge, with the biggest of them swimming in Lake Huron, Georgian Bay, Ottawa River, and the St. Lawrence River. Grayling is a popular catch on many Canadian fly-in fishing trips to northern rivers and streams. These small fish make for great light tackle and fly fishing action. Last but not least, Bluefin Tuna have made a place for themselves among some of Canada’s most prestigious prizes. 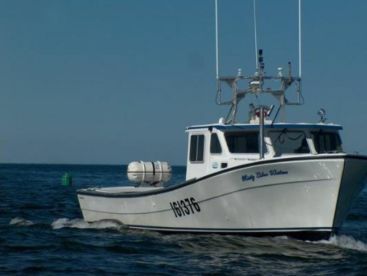 Every year, charter boats in Nova Scotia and Prince Edward Island bring home 500-1,000 lb Bluefins. You can catch these fish from late August through October. Around the same time of year, anglers fishing off the coast of British Columbia catch Albacore Tuna. Anglers must purchase a fishing license, whether fishing in freshwater or saltwater. Be sure to buy a license that is valid in the province where you plan on fishing. In some locations, additional stamps and permits may also be required. Some fish are not always legal to catch and may be limited by size. 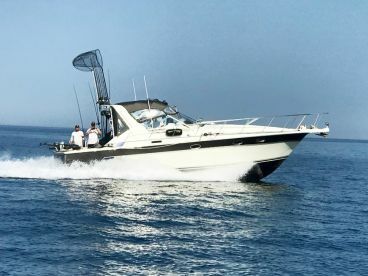 The easiest way to follow local regulations is to book your trip with one of the many professional Canada fishing charters and guides. The start of the year is a great time for fishing in Canada! In Victoria, small Chinook Salmon are abundant, while ice fishing in Ontario promises Lake Trout and more. If you’ve had your fill of ice fishing, set a few Crab traps in the bays of BC, or try your luck fly fishing countless streams for Steelhead and Cutthroat Trout. The ice has yet to thaw on many of Canada’s lakes, but various creeks and streams hold Trout, Walleye, and more. Anglers are heading to big lakes in Manitoba, Saskatchewan, Ontario, and northern Quebec to enjoy some easy sight fishing for Pike as the ice thaws. Salmon fishing is heating up all over the country, from Quebec to the Great Lakes to the far reaches British Columbia. Atlantic and Chinook are the ones to catch! The weather is grower fairer by the day, drawing many charter boats to the sea. 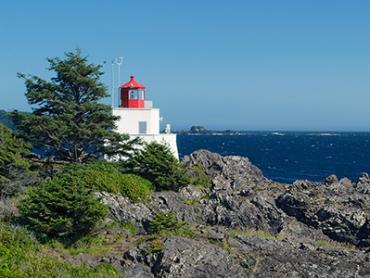 In BC, anglers are catching Salmon, Halibut, Lingcod, and Rockfish. Mid summer is prime time for Sturgeon fishing on the Fraser River. If light tackle action is more your speed, try fishing back east for Pike, Walleye, or Charr. 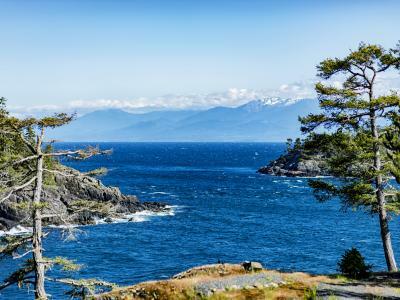 Salmon fanatics are living it up on Vancouver Island, where all 5 Pacific species are biting vigorously. Meanwhile, freshwater anglers are having a blast in lakes and rivers all over the country. Anglers in Nova Scotia and Prince Edward Island are heading offshore in search of the next record breaking Bluefin Tuna. Salmon season is winding down. Bluefin Tuna fishing continues up north, while Steelhead fishing in rivers all over Canada gets underway. 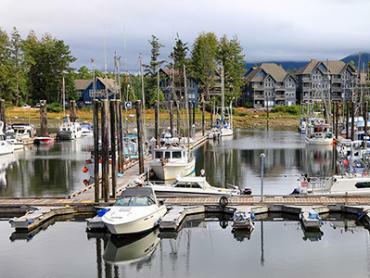 Crabbing in BC is excellent at this time of year. 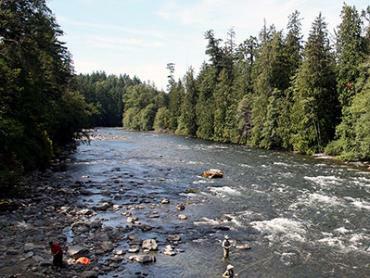 Winter is drawing near, and many anglers are heading to remote rivers for Steelhead fishing. In Ontario, some may still be trolling for Salmon on Lake Superior. 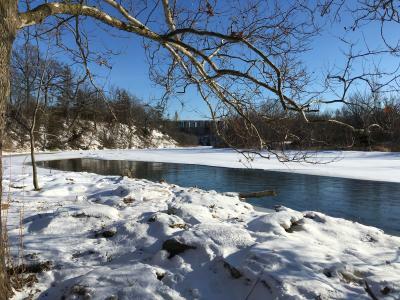 With many lakes frozen over, most anglers find themselves ice fishing or casting lines in small streams. 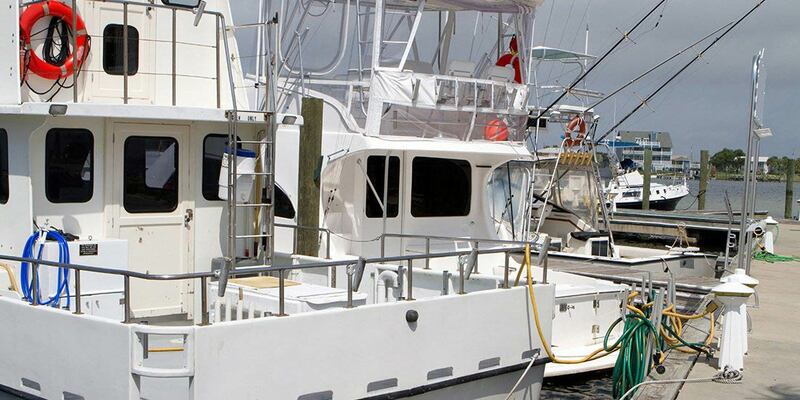 Many charter boats on the coasts are closed for winter.